Though the Buffyverse’s resurrection in comic form began with a pleasing enough bang courtesy of Dark Horse, there was definitely a sense that even Joss Whedon was unsure where the iconic vampire slayer was heading. Sure, Season 8 had a new big bad, an army of slayers and a giant-size Dawn, but it all felt a little safe and formulaic. If anything, Season 8 only emphasised the fact that Buffy The Vampire Slayer had reached its natural conclusion on television; as far as TV finales go, Buffy’s is still pretty much unrivalled. Buffy’s Vampiric plaything Angel, however, was not so lucky. Though ‘Not fade away’ was an awesome swansong for the Los Angeles detective and his crew, few viewers who caught those final minutes of Lord of the Rings inspired hell-on-Earth were entirely satisfied with the show’s sudden demise. Those invested in Angel may be interested in IDW’s approach to the show’s continuation, with a plot based on the material that was already planned by Whedon and company before Fox pulled the plug. Those who’ve read up on the possible future of the series via the interviews with Whedon and anticipated the Spike movie that (alas) never was won’t find any real surprise here; After the Fall follows what was disclosed of the planned six series pretty faithfully. Los Angeles has been relocated to Hell, Gunn is now a vampire, and a deceased Wesley has discovered that his contract with Wolfram and Hart goes beyond the grave. With this in mind, however, it’s even more unfortunate that After the Fall fails to live up to its potential in any way. 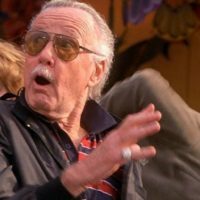 Perhaps more surprising than the direction Whedon and scripter Brian Lynch have taken each character is the manner in which the story unfolds, commencing several weeks after the climactic battle that we never got to see. 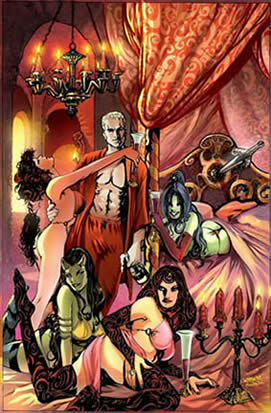 The original issues of After the Fall were published alongside character-centric back-story books, which revealed what had happened to each member of Angel’s demon busting posse between the Season 5 finale and this series. Those will be published in a second hardback, but sadly their omission here makes this volume excruciatingly perplexing on first read. Another baffling creative choice is the approach Lynch takes to his narrative. Whereas Whedon’s Buffy comic reboot captured the feel of the show with its dialogue-centric script, Lynch resorts to having Angel heavily narrate the story, subsequently robbing this book of the witty, postmodern banter for which both shows were renowned and cherished. After the Fall‘s art is also infuriatingly mediocre, ranging from unspectacular to downright ghastly, with Franco Urru’s portraits capturing little of the characters we know so well. Though in his defence, Urru’s inked sketches and work with Paolo Maddaleni displayed in the book’s gallery are far superior, so the ill-conceived colourists may be at fault, rendering Hell-bound Los Angeles with the gaudy gloss of Hunter S. Thompson’s Las Vegas. 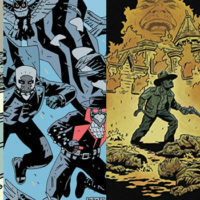 As has become the industry standard, this 5 issue collection has been padded out into an extremely expensive hardcover with the obligatory image gallery, first issue script and series proposals. Interestingly, the script includes director’s commentary styled notes from Brain Lynch. Against Lynch’s ostensibly sycophantic praising of Whedon, I get the impression that the Angel creator was only moderately interested in this series, having abandoned the Buffyverse for the upcoming Dollhouse. Angel: After the Fall, isn’t particularly bad, but it smacks of lost potential. More importantly it just isn’t much fun, and sorely lacks the comic moments that helped alleviate the show during its darkest moments.